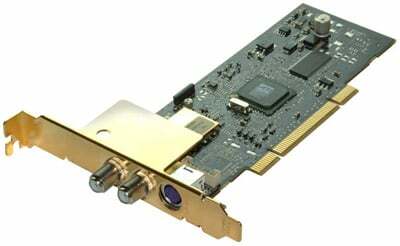 ATI today launched a pair of TV tuner cards, pitching the products at punters who want to turn their PCs into DVRs but don't want the very latest in 3D graphics acceleration. The TV Wonder 200 and TV Wonder 650 go on sale in the US today, but ATI promised the cards would be offered to European buyers later in the year. Presumably, the products will have been equipped with digital tuners by then. The 200 currently has an analogue tuner as does the 650, though the latter provides digital HD reception too - though users will need an amplified antenna to pick up the signals. Both cards ship with software to view, pause and record incoming programmes. The 650 will store such content in a variety of formats, including MPEG 2, MPEG 4, WMV 9, H.264 and DivX. The PCI boards also provide video-in ports. ATI's Catalyst Media Center software also supports picture-in-picture and the ability to record one show while watching another, but the company admitted you'll need two of its tuner cards to take advantage of these features.